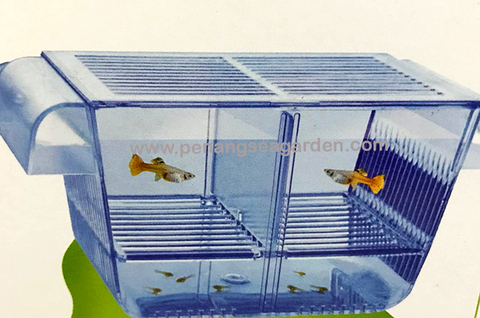 This Breeding box ensures that eggs or new born fish are safely separated from other aquarium inhabitants. It is also suitable for isolating diseased, weakened or aggressive fish. 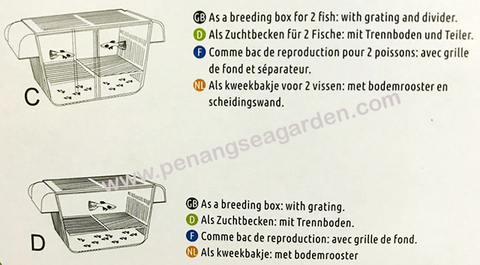 For breeding, fit the removable grating in the box so the newborn fry cannot be eaten by their mother. 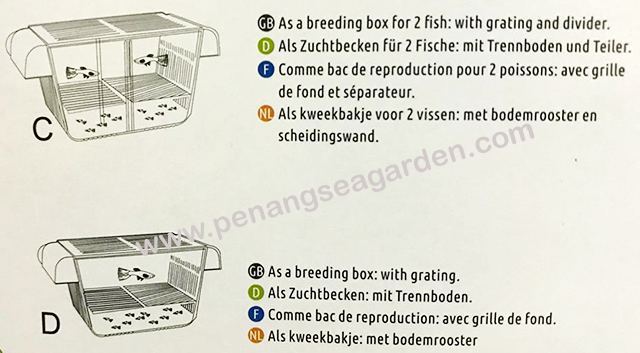 Allow the breeding box to sink slowly in the aquarium. The breeding box will fill up with aquarium water and stay floating. It is ready for use right away. The box can be secured to the aquarium wall with the suction cups. 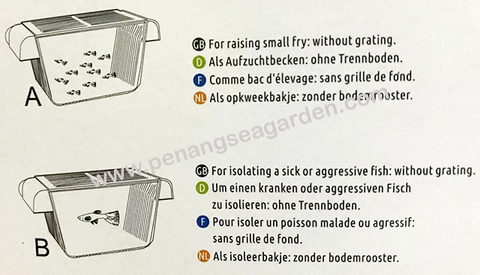 The grating in the bottom prevents soiling of the box by food residues and excrement. 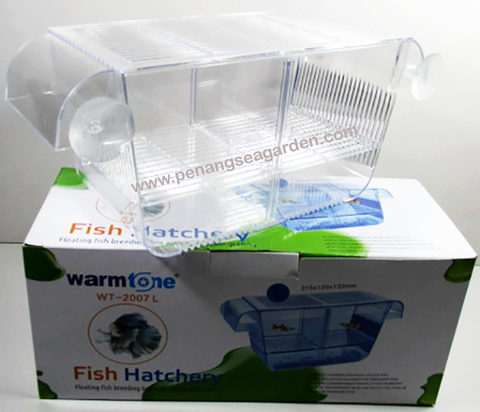 Suitable for freshwater and marine aquariums.